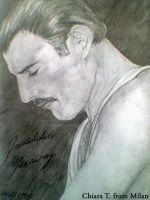 This is Freddie Mercury (as I hope you can tell). Case you don't know, he's the fantastic frontman for the band Queen. 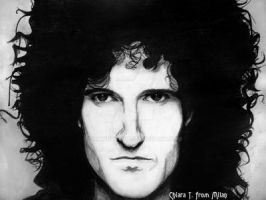 I drew each member of Queen yesterday night/this morning. I will submit the rest later. Sorry about the crappyish quality. My scanner's cheap and I drew this in like 20 minutes. awesome work! The qualities just fine!